“Bring the whole tithe into the storehouse, so that there may be food in My house, and test Me now in this,” says the Lord of hosts, “if I will not open for you the windows of heaven and pour out for you a blessing until it overflows." 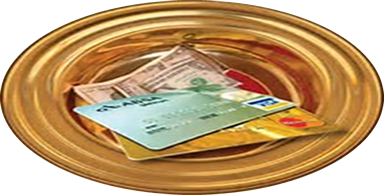 The gifts, offerings, and tithes that you give will be used to provide spiritual and physical assistance to those in need. The Oak Grove family donates to the local community, Baptist General Convention, Union Baptist Association International and Student Missions. Sign up and get started with online giving. THREE easy ways to sign up and give: ONLINE GIVING, MOBILE GIVING, or TEXTING! Getting started is explained below for each way of giving. Get the giving APP - Track your giving history, manage recurring gifts, and easily keep account information at your fingertips. 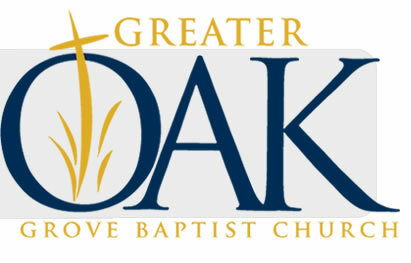 You can now make a contribution to Greater Oak Grove Baptist Church with a quick text message! Simply send a text to 713.955.1866 with the amount you would like to contribute. Make sure to include the dollar sign before the amount you would like to contribute.Example $25. Within a few minutes, you’ll be sent a text with a link to register. Click on the link and enter your cardholder name and credit or debit card information.